Your cavelike kitchen feels that way because the dark cabinets have sucked all the light out of the room. But a brighter makeover doesn’t necessarily mean replacing those gloomy boxes with all-new cabinets. As long as the frames and doors are structurally sound, you can clean them up and brush on some new paint—and within a weekend take that kitchen from dreary to sunny. 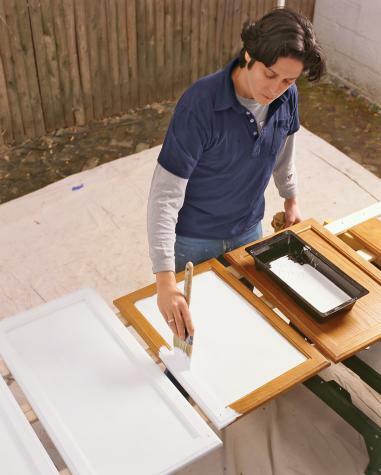 As This Old House ­senior technical editor Mark Powers shows, all you need is some strong cleaner, sandpaper, a paintbrush, and a little elbow grease. What you don’t need is a whole lot of money, as the transformation will cost you a fraction of even the cheapest new cabinets. And that’s news that should sure light up your day.